Nigerian Breweries Plc has urged the Super Eagles to extract their pound of flesh from the Bafana Bafana of South Africa when the two sides meet today in a 2019 Africa Cup of Nations match day five game at the FNB Stadium in Johannesburg, South Africa. This motivational message was contained in a statement issued by Emmanuel Oriakhi, the Marketing Director of Nigerian Breweries Plc on the AFCON qualifying game between Nigeria and South Africa. South Africa defeated Nigeria 2-0 at the Godswill Akpabio Stadium in Uyo, Akwa Ibom State in the opening Group E game of the qualifiers in June 2017, but Emmanuel Oriakhi, the Marketing Director of Nigerian Breweries Plc believes coach Gernot Rohr and his Eagles are motivated to avenge that loss and confirm their ticket to the biennial African football fiesta in Cameroun next year. â€œAs an official partner of the Nigeria Football Federation, Nigerian Breweries Plc is solidly behind the Super Eagles to deliver the goals and the points to seal the very important ticket that will guarantee Nigeriaâ€™s return to the Africa Cup of Nations after failing to qualify for the last two editions in 2015 in Equatorial Guinea and 2017 in Gabon,â€ Oriakhi stated. 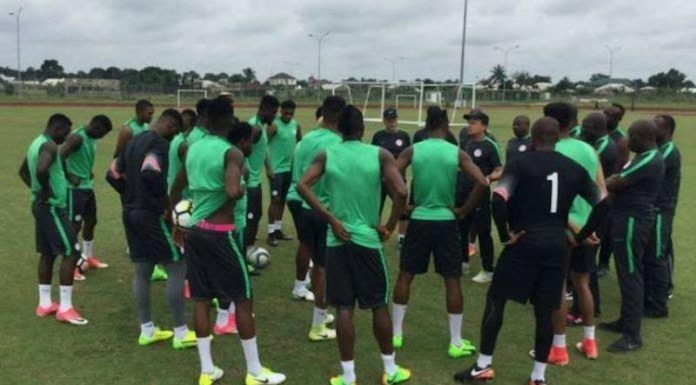 The Super Eagles had camped in Asaba, Delta State from Monday, November 12 for the match and Nigerian Breweries, whose brands, Star Lager beer and Amstel Malta are the official beer and malt drinks of the Super Eagles respectively has assured NFF and the team of its support all the way to South Africa.